While we all are waiting for OnePlus to make an official announcement regarding the launch date of OnePlus 6T, Amazon India has started teasing the upcoming smartphone already. 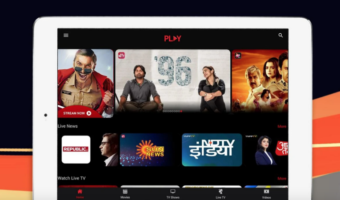 The teaser posted by Amazon India reveals the OnePlus 6T will also be exclusive to the e-commerce portal in the country. 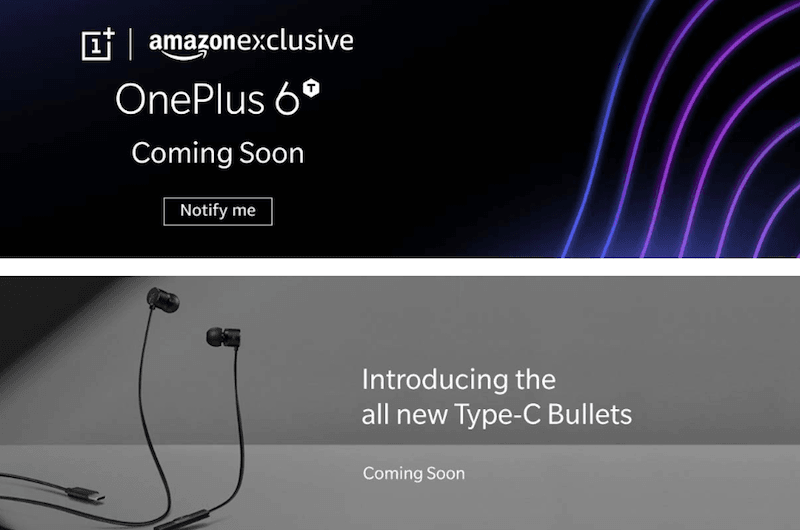 Alongside the OnePlus 6T, Amazon also teased the all-new Type-C Bullets earphones which will be available on the portal at a price of Rs 1,490. OnePlus already confirmed the upcoming 6T would not have the 3.5mm headphone jack, which irked so many users, but the company says it made this decision to deliver improvements in other aspects. Like the older OnePlus smartphones, the upcoming OnePlus 6T will also be exclusive to Amazon in the sub-continent. Besides the landing page, Amazon did not reveal any specifications or features of the handset. The OnePlus 6T will feature similar hardware as the OnePlus 6, but there might be some noticeable upgrades to differentiate it from the OnePlus 6. Also, this listing did not reveal any information related to the pricing of OnePlus 6T. The OnePlus 6T will not feature a 3.5mm headphone jack, which means that users have to rely on the USB Type-C audio. OnePlus also confirmed that it would bundle a 3.5mm headphone jack to Type-C adapter inside the retail box, something which Apple is not doing with the latest iPhones. 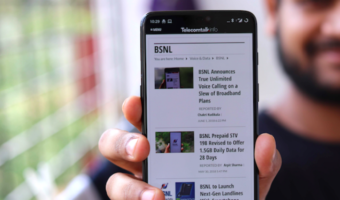 The OnePlus 6T will be an iterative upgrade to the most successful OnePlus 6, which was launched in India at a price of Rs 34,999. The 6T will have a similar sized display, but it will have the much newer waterdrop notch. Oppo and Vivo launched a couple of smartphones each in China and India with waterdrop notch, so OnePlus will join the list with the OnePlus 6T. The phone will be powered by the Qualcomm Snapdragon 845 chipset, clubbed with 6GB/8GB of RAM and 64GB/128GB/256GB of internal storage. Another major feature on the OnePlus 6T will be the in-display fingerprint scanner and OnePlus claims the battery life will be a lot better on the upcoming handset when compared to the OnePlus 6. Other expected features include full water and dust resistant certifications, wireless charging and a dedicated technology for improved gaming support. Going by the teaser images, the OnePlus 6T could be launched in the second half of October. The price of the smartphone is expected to remain the same at Rs 34,999 for the base 6GB/64GB storage variant. It will be interesting to see which special edition 6T OnePlus will be launching.